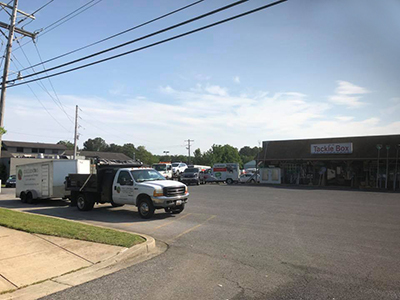 Collentro Landscaping offers customized landscaping and maintenance services for all commercial properties in Southern MD’s St Marys County and Calvert County. We have services to fit all wants and needs. Our trained, friendly and professional employees use top of the line equipment such as Stihl and John Deere to get the job done right the first time. Electronic dispatch keeps all our crews in communication with office at all times; and with only English speaking employees, communication will never be a problem. Collentro Landscaping is a family owned Southern MD landscaping maintenance company with hands-on communication with our owner or supervisor. Providing quality service you and others can be proud of is what we stand behind. Here no project is too small. We service everything from churches, HOA, apartments, restaurants, shopping centers, and much more. Offering weekly, bi-weekly, and monthly landscape maintenance service.